The Under Armour Youth Matte Converge Batting Helmet UABH2-110M is designed to keep your young hitter safe, as well as comfortable, when they are at the plate. 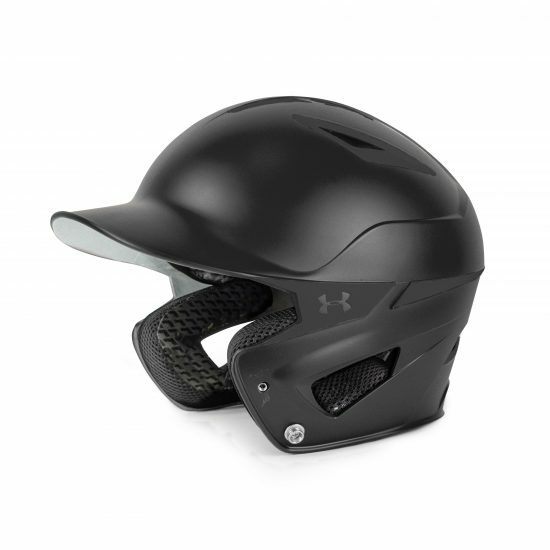 The UABH2-110M features Charged foam lining inside the helmet that will keep their heads steady, safe, and secure. This Under Armour batting helmet should give kids major relief from the heat, even during those hot summer months. Youth players will also love the look of the helmet’s exterior, as it comes made with an awesome tack matte finish. The helmet comes in a singular color design. You can order it in the colors of black, navy, royal, scarlet, white, and graphite. These Under Armour Batting Helmets also include premounted hardware that makes adding a softball or baseball cage an easy process. 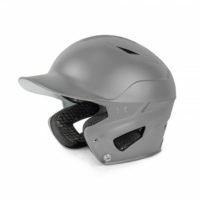 The foam and fabric in this helmet has also been treated with antimicrobial, which removes unwanted bacteria and odors from the item. This helmet will fit players with a hat size under 6 3/4, and should accommodate most youth players. This Under Armour Youth Matte Converge Batting Helmet UABH2-110M is available on the Baseball Bargains website now, so order today!